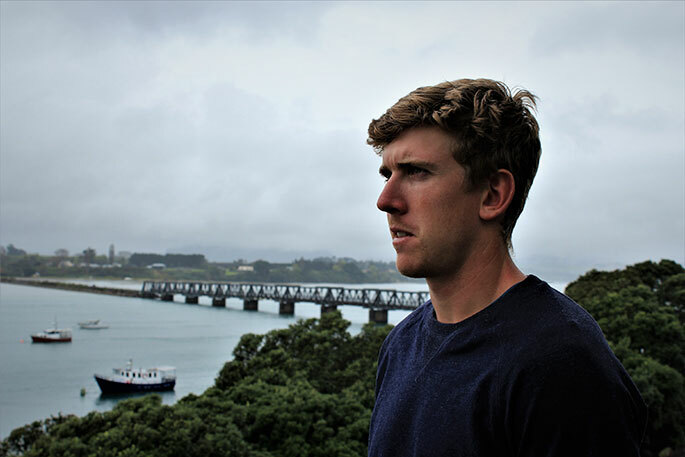 Peter Burling relaxing back home in Tauranga. Photo: Peter White. Tauranga’s sporting royalty will be honoured at the 60th anniversary of Tauranga Boys’ College over Labour Weekend. Black Caps captain and world class batsman Kane Williamson will jointly receive the Old Boy of the Decade award, along with America’s Cup winning skipper and Olympic gold medallist Peter Burling. From the moment they both set foot on the Hillsdene campus as slightly apprehensive Year 9 boys, they enjoyed a friendly rivalry competing for top sports awards. In Year 13, head prefect Williamson captained the New Zealand under-19 cricket team, while sports captain Burling represented his country at the Seoul Olympics. Tauranga Boys’ principal Robert Mangan says it was an easy decision to award the two high achievers the dual award. “Traditionally, we have had an Old Boy of the Year and we wanted to do something special to recognise those old boys who have been most significant over the last decade,” says Robert. “They are outstanding men,” he says, “role modelling what we want for old boys of Tauranga Boys’ College not only in terms of achievement, but in every facet of their personality, their performance and their response to media. Both Williamson and Burling will attend the key note dinner next Saturday, with Jay Reeves set to MC the night. Teacher in charge of the old boys’ association Rob Leslie, who began teaching at Tauranga Boys’ in 1979, says they would like to have honoured Williamson and Burling earlier, but it has always been difficult to get them together. “We have had a reasonable amount of activities over the last decade with the re-introduction of the old boys’ association,” says Rob. The arts will also be under the spotlight next weekend with former Midnight Youth vocalist Jeremy Redmore and Elijah Taula, who performed at Christmas in the Park, among the musicians performing on Sunday morning. Tauranga Girls’ College will also celebrate 60 years since the split from the original Tauranga College in 1958 over Labour weekend. The theme for the jubilee weekend is Wahine Toa: Aspirational agents of change, and is in keeping with this year’s Suffrage 125 milestone. Several high-profile, former Tauranga Girls’ students will be speaking at the event, including former mayor of Hamilton Julie Hardaker, Tarnished Frocks and Divas’ Denny Spee, Nurses’ Organisation advocate Carol Beaumont, former Trilogy CEO Angela Buglass, Repertoire’s Meghan Maher, Beewrapt’s Trudy Kendall and One News sports journalist Michelle Prendiville, who will also MC the event.